You have probably heard of a personal financial statement before on the news, especially when the news being reported is about the funds or earnings of a particular organization and the involvement of political figures or other members of the authorities. A personal financial statement is a document used in reporting the financial state of an individual or company in a given period of time. 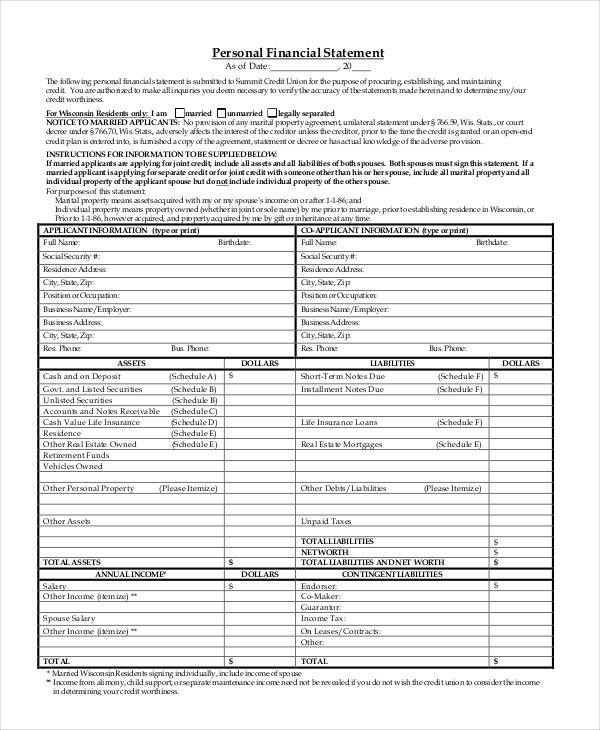 This is a very important accounting document and has helped a lot of people be able to handle their assets and liabilities well. Our topic for this article focuses on the personal financial statement. 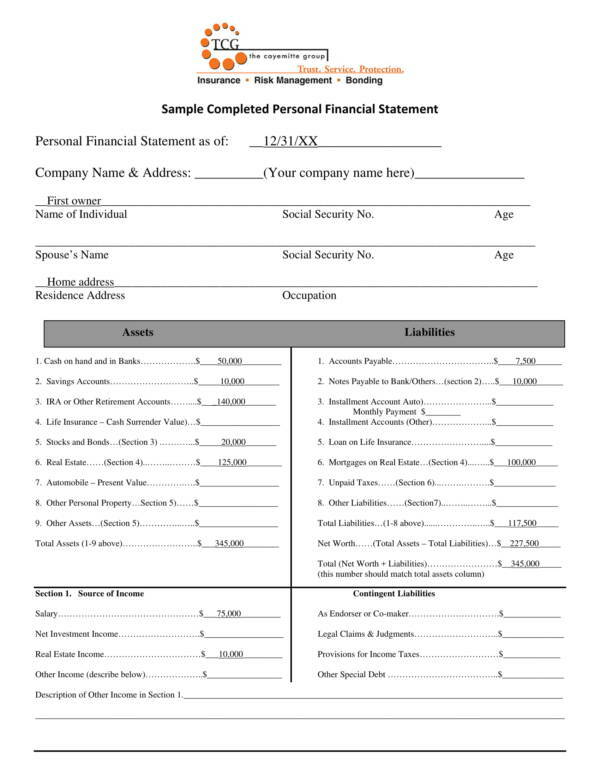 We have also included personal financial statement samples in PDF, Word, and Excel that you can view and download, and use as a reference or visual aid as you go through the useful information included in this article. Some of the things that will be discussed are uses of a financial statement, its types, the parts that make up a personal financial statement, and many more. A personal financial statement is a document or a sheet that is used to report the financial status or financial condition of an individual. The information included in a personal financial statement is basically made up of the general information about the individual like their name, address, income, expenses, and a complete list of their assets and liabilities. But this does not include any assets and liabilities that are related to business. It is important to know one’s personal financial statement or financial condition because it is very useful when planning for your future and when doing a budget plan. A personal financial statement is the simpler version of the financial statement used by large companies or organizations. It is prepared by the individual whose financial health or financial condition is being evaluated in the personal financial statement. 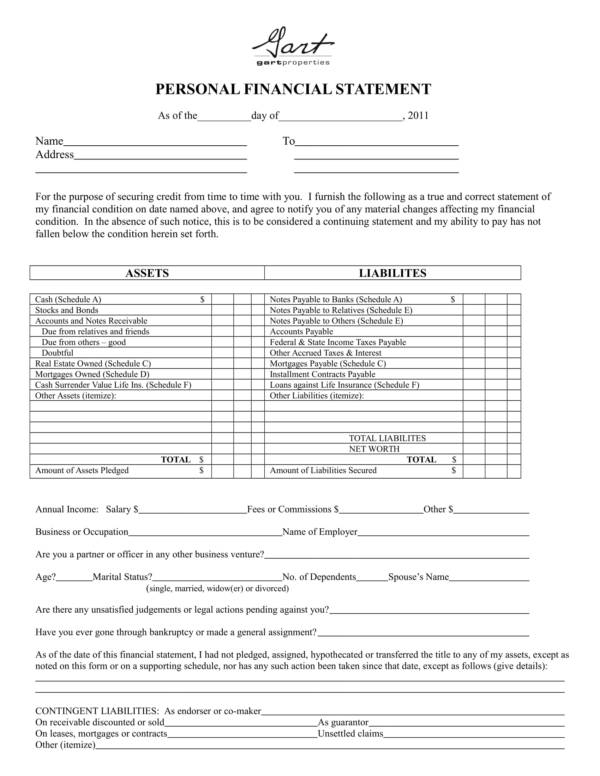 The statement can easily be prepared with the use of a personal financial statement form where they need to fill out all the required fields in order to gather the details needed for the assessment. We now know that a personal financial statement is used to assess the financial health or condition of an individual. This is just one of the many uses of a personal financial statement. We have made a list of all its other uses below. A personal financial statement is used to gather and break down the list of assets and liabilities that an individual has or owns. A personal financial statement helps individuals keep track of their expenses and finances so that they will be able to create a budget plan that is effective and efficient. 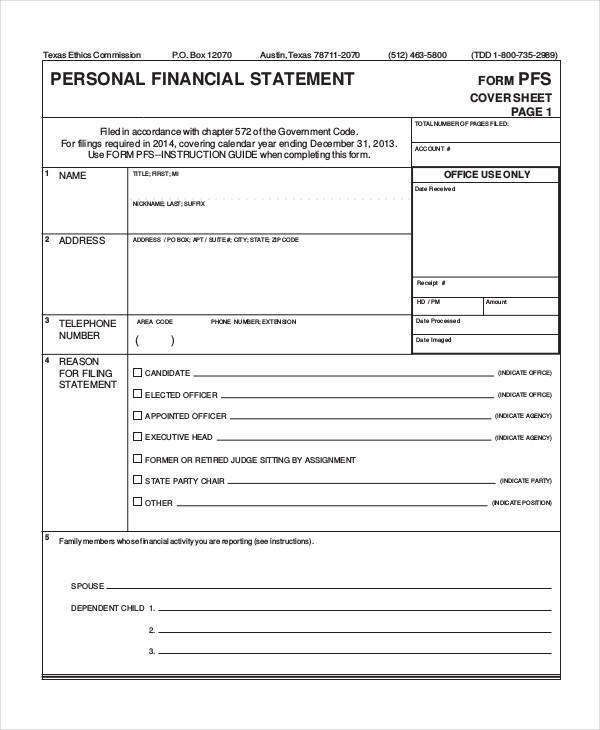 A personal financial statement provides detailed list or outline of an individual’s money, specifically those that they earn and spend including the things they actually own and the things that they still need to pay for. Used to determine the cash flow for the investing, operating, and financing activities. 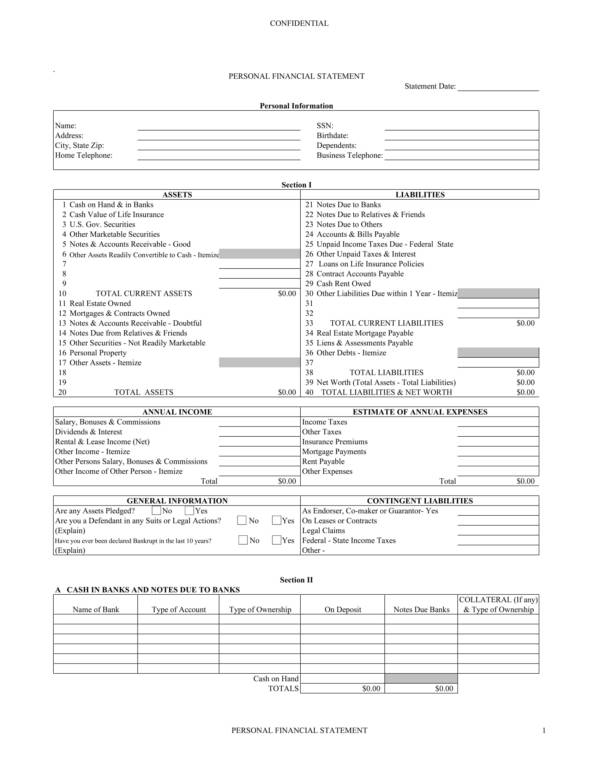 A personal financial statement is used to assess an individual’s profitability. A personal financial statement is used to determine the liquidity of the individual’s finances. A personal financial statement is used to compare the inflow versus the outflow of the entity’s net assets. 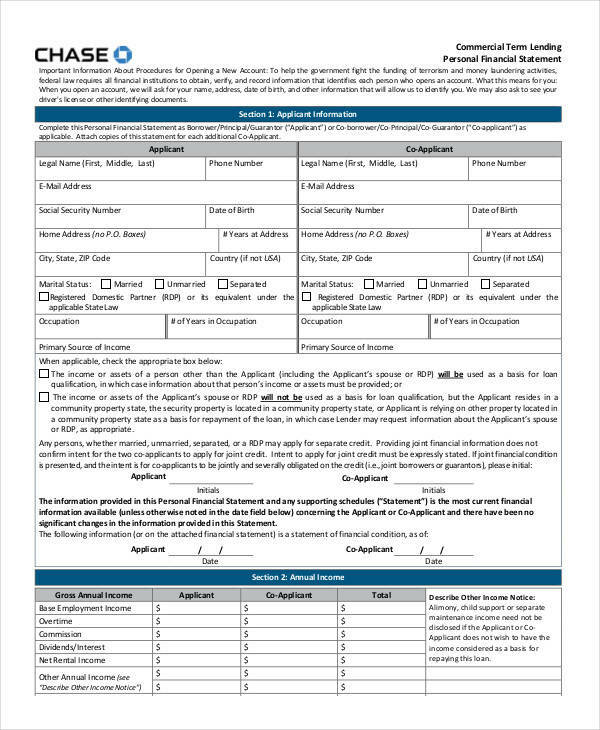 You may also check out our website for more useful statement samples, like mortgage statement samples and templates, legal statement samples and templates, and free billing statement samples and templates. What Are the Types of Personal Financial Statements? To learn more about personal financial statements, we will be learning about its two types. They are the personal cash flow statement and the personal balance sheet. What they are and how they are used are discussed below. A personal cash flow statement is a document listing all that you have earned and all that you have spent in a specific period of time. Its purpose is to determine an individual’s personal net cash flow. This can be done by subtracting all of one’s outflow from their inflow. There is what we call positive net cash flow and negative net cash flow. A positive net cash flow means that you earn more than you spend, which is good. A negative net cash flow means that your spending exceeds how much you are earning, and that is a bad practice. Examples of cash inflows are interests in one’s savings account, the individual’s salary, capital gains, dividends from different investments, and the sale of assets. To put it simply, it is something that brings in or earns you money. Cash outflow, on the other hand, is defined as one’s expenses. It includes utility bills, rent or mortgages, daily needs, groceries, etc. 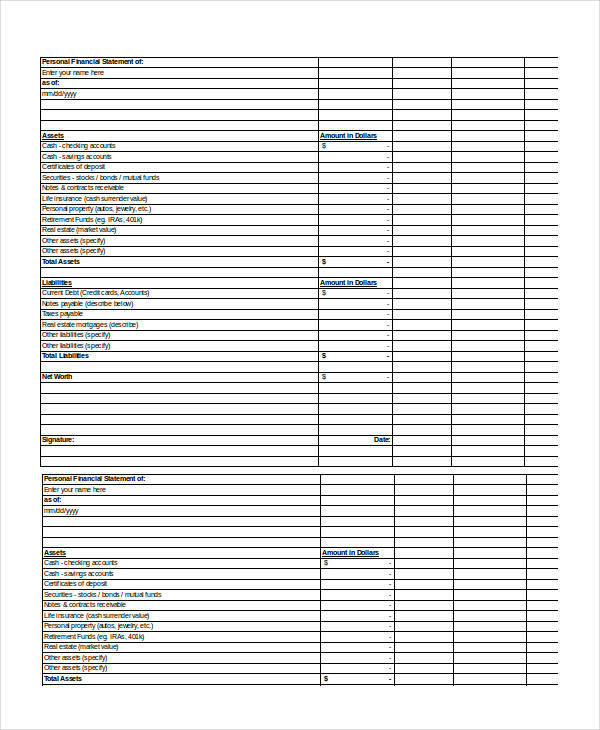 This is the second type of personal financial statement that shows a detailed list of the current wealth or financial health of an individual in a specific period of time. It summarizes all of the assets and liabilities of an individual, as well as provide their net worth, just like what is shown in a net worth statement. An individual’s net worth is derived by subtracting the total value of their liabilities from the total value of their assets. 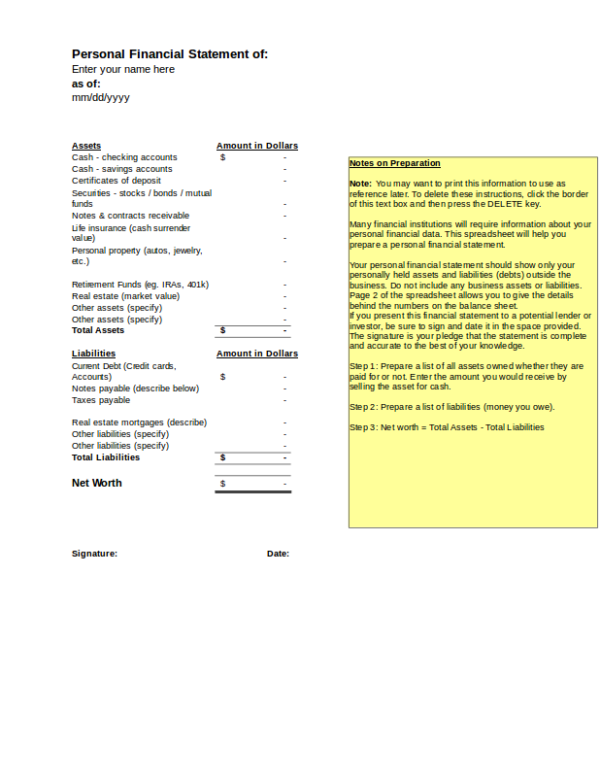 The list of assets included in a personal balance sheet is liquid assets (savings account, checking account, cash, etc. ), large assets (houses, cars, furniture, boat, etc. ), and investments (bonds, mutual funds, real estate, stocks, etc.). The list of liabilities that are included in it are loans, credit card balances, and other payment bills or dues. Other related topics that you may find on our website are How Do You Do Financial Statement Analysis, Essential Financial Statements for Your Business, and Financial Ratios Analysis Samples. You can find all these and more if you check out our website! 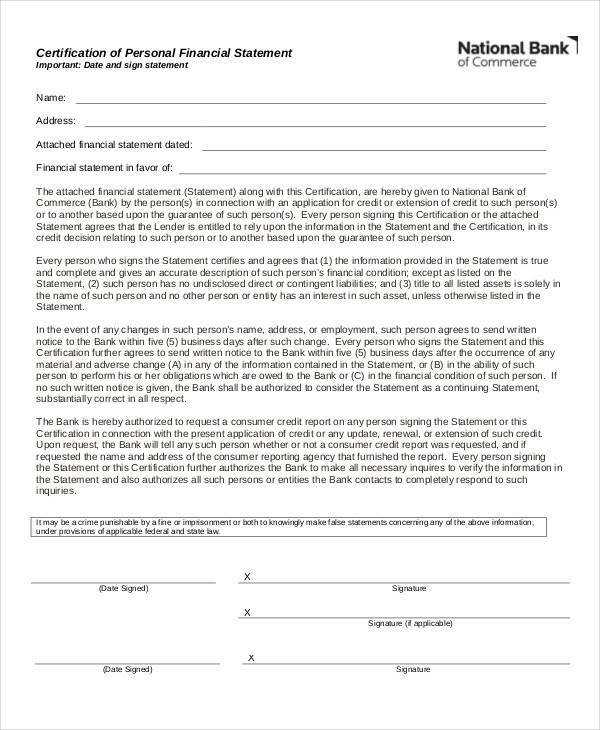 A personal financial statement is a document used in reporting the actual financial standing of an individual in terms of their cash inflow and outflow for a specific period of time. A personal financial statement is used to record and keep track of the finances of an individual so that it can, later on, be compared to actual results. This helps a lot of individuals in making financial decisions. A personal financial statement allows individuals to see how they have been financially doing so far and lets them see the direction their life is going, whether they are heading to their goals in the future or if they are going a different path. Financial statements of companies or organizations show their current financial health or status. This allows individuals to decide whether to invest in their business or not. A personal financial statement helps determine if an individual is able to generate income or profit over a specific period of time. A positive personal financial statement indicates that an individual is earning more than they are spending. This means that their current financial condition is healthy. A negative personal financial statement indicates that an individual has a lot of debts that they need to get back. This is bad as they may not be able to recover from it and risk being in debt for the rest of their lives. There are two types of personal financial statements that are both useful and important, namely a personal cash flow statement and a personal balance sheet. 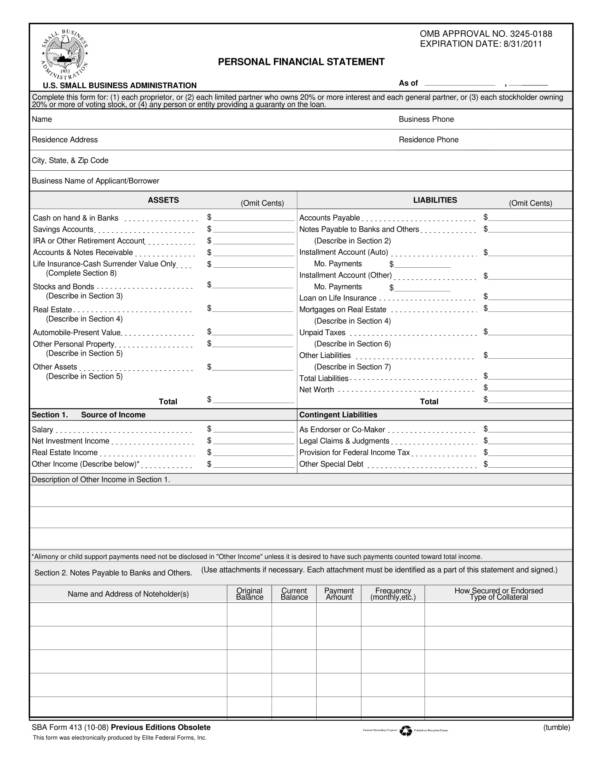 It provides a complete and detailed list or breakdown of an individual’s assets and liabilities. Personal financial statements help determine the cash inflow and outflow of an individual within a specific period of time. This helps in monitoring how much one has earned and how much they have spent. It is one way for individuals to plan on how to spend their earnings properly. It is easy to get hold of personal financial statement samples as they are available online for free. Aside from samples, online and downloadable personal financial calculator spreadsheets are also being used. It helps make the process easy and convenient, as well as provide accurate results or values. With this, it will be easy to do such calculations on your own.